Nursing begins with education. Before you can practice as a nurse, you have to learn what it means to be a nurse, as well as the specifics of how to carry out the duties of your role as a nurse in the field. One of the important contributors to the area of nursing education was Isabel Hampton Robb. Her work in nursing has led to her being thought of as a founder of modern American nursing theory, and many of the standards she implemented are still in place today. Isabel Hampton Robb was born in 1860. In 1883, she graduated from the Bellevue Hospital Training School for Nurses. While working at Johns Hopkins, she met and married Dr. Hunter Robb. She resigned from her position to move with him to his new position as a professor of gynecology at Case Western Reserve University. Robb died in 1910. Robb was one of the founders of modern American nursing theory, and an important leader in nursing history. She first worked as a nurse in Rome, then returned to the United States, where she accepted a position as the superintendent of nursing at the Cook County Hospital nursing school in Chicago, Illinois. 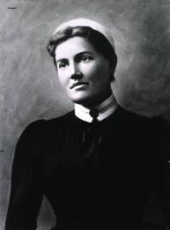 In 1889, Robb was appointed as the head of the new Johns Hopkins School of Nursing. It was in this position that she published the text Nursing Its Principles and Practice. . When Robb followed her husband to Case Western Reserve University, she used it as an opportunity to work with Clevelend's Lakeside Hospital Training School for Nurses, as well as write two books: Nursing Ethics: For Hospital and Private Use (Classic Reprint) , which was originally published in 1900, and Educational Standards for Nurses With Other Addresses on Nursing Subjects , which was originally published in 1907. During her career she also served as President of the American Society of Superintendents of Training Schools for Nurses, which is now known as the National League for Nursing, and of the organization that became the American Nurses Association. She was also a founder of the American Journal of Nursing. Robb's most notable contribution to nursing was in the field of education. The reforms she put into place set standards for nursing education, and most of them are still followed today. Specifically, she developed and implemented a grading policy for nursing students that required nurses to prove their abilities in order to be awarded qualifications. She was an advocate for reducing the long hours involved in training nurses, as well as improving education in nursing schools. It is thanks to Isabel Hampton Robb that nursing education is what it is today. Because of the work Robb did in improving nursing education, patients are able to get better care, and nurses are more prepared to enter their careers after earning their degrees. Her passion for nursing education changed standards, and her ideas and contributions have withstood the test of time, despite the rapid advancements that occur in the healthcare field.